2. Activate membership based in existing cooperatives. Successful cooperative projects are community-led projects. About 70 percent of electric cooperatives have less than 10 percent average turnout for their board member elections. 3. Encourage cooperatives by removing barriers and encouraging partnerships. 4. Highlight potential rural uses. 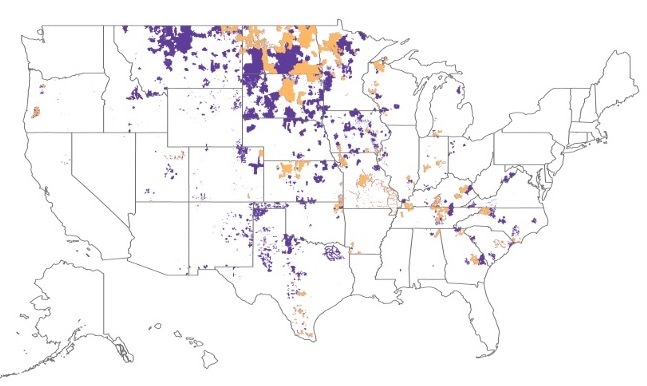 Rural areas are home to more than farmers. There may be aspiring programmers and entrepreneurs, and many people who want higher education as well. 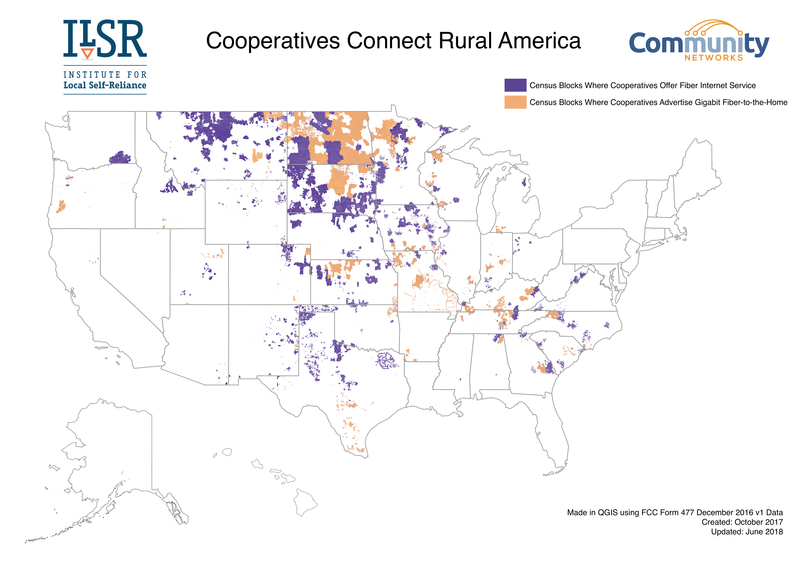 Cooperatives Fiberize Rural America: A Trusted Model For The Internet Era here. Map Updated June 2018 available here. This updates includes several missing cooperatives, such as Arrowhead Electric in Minnesota and Columbia Energy in Washington.